Ravishankar is responsible for leading Hurix’s Pub-tech practice area. Our focus here is to leverage platform, tools, and process to drive process efficiencies and innovation in the areas of content transformation, content ingestion and eBook related services. Ravi brings 25+ years of IT experience in Operations, Application Software Development, Program and Delivery Management. His diverse skills across platforms comprise experience in managing multiple, concurrent software development projects, deliveries, turnaround and crisis management. 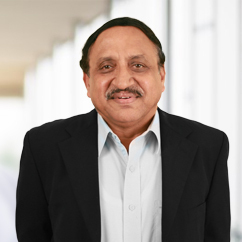 Ravi holds Masters Degrees in Science, Business Administration and Computer Applications.